Valet is accessible from 3rd St. Cost is $10 when you dine with us and can be included on your bill or paid in cash directly at the valet stand. 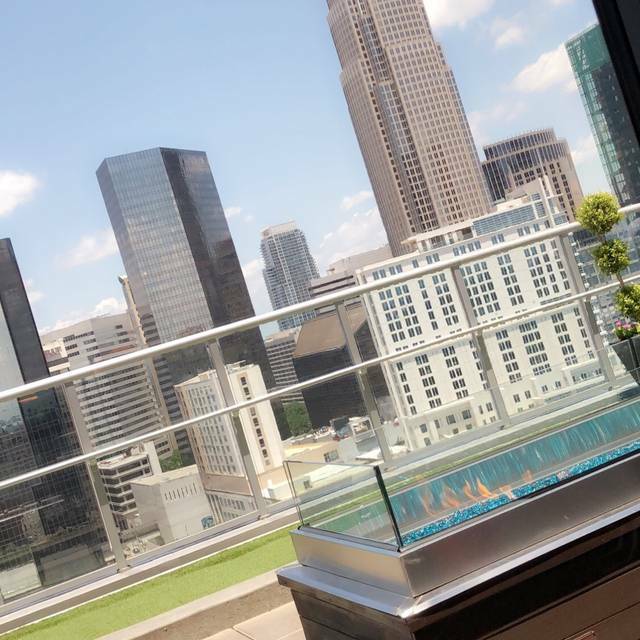 Fahrenheit offers multiple dining spaces for private and semi-private events with views overlooking the beautiful uptown Charlotte skyline! 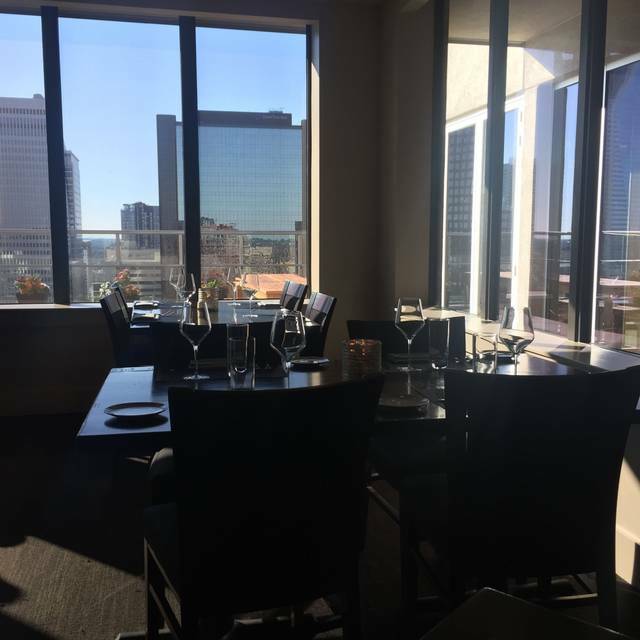 Events: Business lunches and dinners, pharmaceutical presentations, birthday celebrations, rehearsal dinners, bridal showers, cocktail receptions, holiday parties, private chef’s tastings, wine dinners, private brunches and more! Fahrenheit is truly a one stop shop for all of your dining needs. No matter how small or large your get together may be, let Fahrenheit worry about the details! We customize menus and tailor experiences to the needs of each and every one of our patrons! 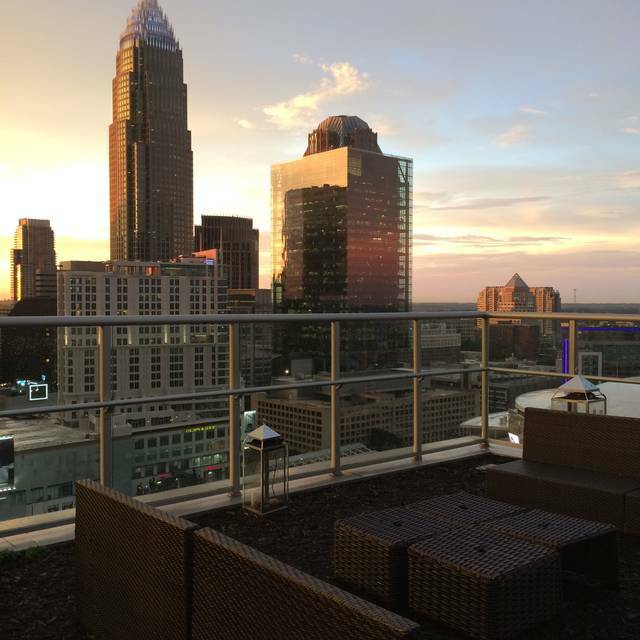 Located in Charlotte"s Uptown, Fahrenheit has already become a player in the up and coming Charlotte food scene! Rising Star Chef, Rocco Whalen, a Wolfgang Puck protégé, will blow you away with his approachable and cutting edge cooking style. Taste Rocco's contemporary cuisine with its Mediterranean & Asian accents & you'll know why Esquire declared him a "Chef to Keep Your Eye On". 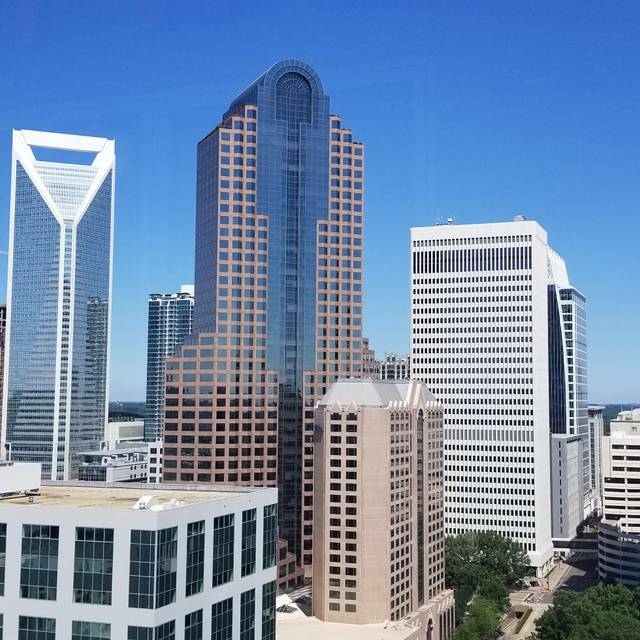 Fahrenheit is equipped with a full service bar complete with a la carte dining, private dining rooms available for large parties and the most breathtaking view of Charlotte’s beautiful sky line from every table in the restaurant! Easter brunch had a great selection of food and was great. 20% service fee is added onto bill. It was a little louder than expected. But the view was incredible and so was the staff. We visited for a first time for our anniversary and were treated like regulars. However, when they tell you the specials for the evening you might want to ask the price. We were going to get the 26 ounce steak but the special was a 32 oz ribeye. So we figured why not. Obviously we expected it to be more but Would have never guessed it was going to triple in price from the 26oz. Great spot and good food. Waitress was a bit slow, food was ok, but ambiance and vibe was perfect! Excellent service, great view, not too loud and absolutely fantastic food with good serving sizes. Went for a meal with 3 other people, allowed to order and eat starter before having entree ordered to allow us time to chill out and have a few drinks. Prices are well worth the quality and quantity of food. Recommend to anyone and everyone regardless of the occasion. 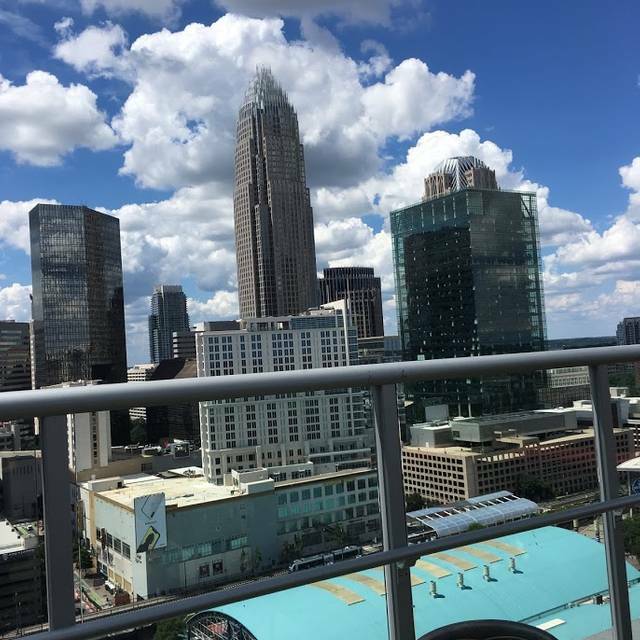 Beautiful view of uptown. The food was very good. We experienced excellent service. One of our favorite experiences at the restaurant. We had a 2 year old with us and the staff were terrific. Food and service was very good. 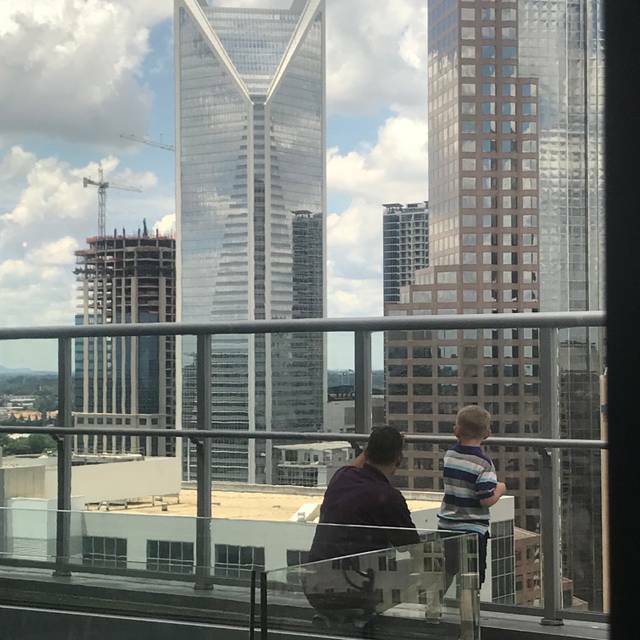 Great food, great service and a stunning view. Could use better directions on how to get up there however we found it. Amazing! Went here for prom. Been here several times before and it never disappoints. Food was sub par for the price. While the view was amazing the service was not, after we finished our meals was our ‘first checkup’. Would recommend 4/5 for Drinks & Apps but not dinner. Nice view. Decent food. But the cocktails were terrible. Not bad, not mediocre. Terrible. Watered down? The Death's Door gin certainly was. At least the staff comped me the g+t. We had a mix of the small plates (tapas) and everything was amazing. The dates are out of this world! Loved the drinks even when I ordered something obscure. The food is extremely overpriced. I’m talking $40 for pasta. Go somewhere else, come here for a drink afterwards. Austin guided us through a small plates pre-concert dinner. There isn’t a bad choice on the menu! Food was delicious, I had chorizo stuffed bacon wrapped dates with tomato aoli for an appetizer and miso glazed salmon with wasabi mashed potatoes for dinner! View was incredible! Ambience was nice. Very loud in the lounge but there was also two huge parties in there. Kitchen was backed up so the food took quite a long time but overall experience was great! Wifes birthday. Food was amazing. Service a little slow but it was busy and all staff was nice. Fahrenheit was exceptional. The only issue we had was with the hostesses. They would not seat us with six as we made a reservation for seven people. They said we had to wait until everyone was there. It put a crimp in our birthday celebration. Everything else was excellent. Our waitress Tiffany was a joy. She was very professional and personable. Thank you Tiffany for your awesome service!!! The brunch menu was a bit limited and missed some basic staples. That being said - they were accommodating and happy to provide scrambled eggs not on the menu. The king crab Benedict was good and biscuit tasty but a side had to be ordered separately. The coffee was odd tasting - not burnt but not quite right. The view is lovely - even with an overcast sky. The pop music was loud for Sunday brunch. The wait staff was lovely - friendly, well informed about the menu and attentive. If you are looking for the standard Sunday brunch fare with soft classical music - this is not the place. My first time visiting to kickoff my birthday and it was a LOVE! 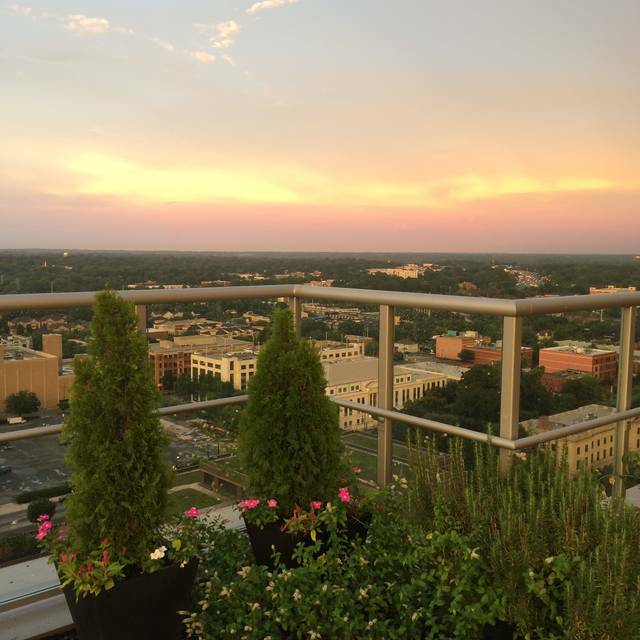 My favorite was the roof top view as well as the ambiance. Thank you Fahrenheit for a wonderful experience and great service! Location is great on a comfortable evening when you can enjoy the outdoors. Service was terrific. Food didn't blow me away. The only negative was that the bar did not have the necessary ingredients for a cocktail on their menu, the Alexis Aviation. The food seemed very pricey for the actual quality of said food. Dissapointed with the salads honestly. Food was excellent but very overpriced. Drinks were very overpriced as well. I would only recommend for the view. The food wasn't all that great and pretty greasy. But it was nice inside, it was kind of romantic. The views were beautiful. The bar staff was short on people and it was one of the loudest restaurants I have ever been in.. The overall experience was great but for date night it was noisy. I have only been there once so I can’t compare other nights. This was a Thursday.. I would go back to see if it was different..
Amazing views! The food, beverage and service was top notch! Everything was very good however all the entrées did not come out at the same time, two out of the table of 10 were delayed and two steaks had to be reheated. It was just okay- not bad but not great. The Caesar Kale salad was blah- not much flavor- the Crab Rangoon rolls were on the soggy side. Husband had wedge salad that was HUGE- more like 1/2 a head of salad- but was tasty. Filet was good but nothing over the top. Was a pretty pricey meal for just okay. It was also VERY loud in there- hard to have any conversation. 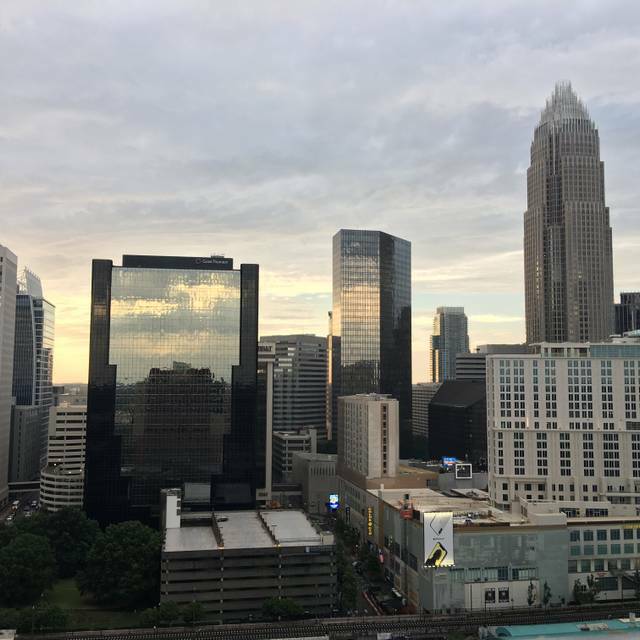 My fav in Charlotte ! Great for casual business and friends get togethers! Fahrenheit was everything we hoped it would be and more! The atmosphere and ambiance were exceptionally welcoming and classy. The views from out on the patio as well as from anywhere inside were amazing. We got to watch the sunset and got some incredible photos of our night. Loved it! I brought my brother here to celebrate his 50th birthday this was my second time coming and it was an absolutely amazing evening everything about it was perfect from the fool to the staff to the ambiance perfect. Our waiter Austin was attentive and extremely accurate. Made our experience very enjoyable. Thanks, Austin! 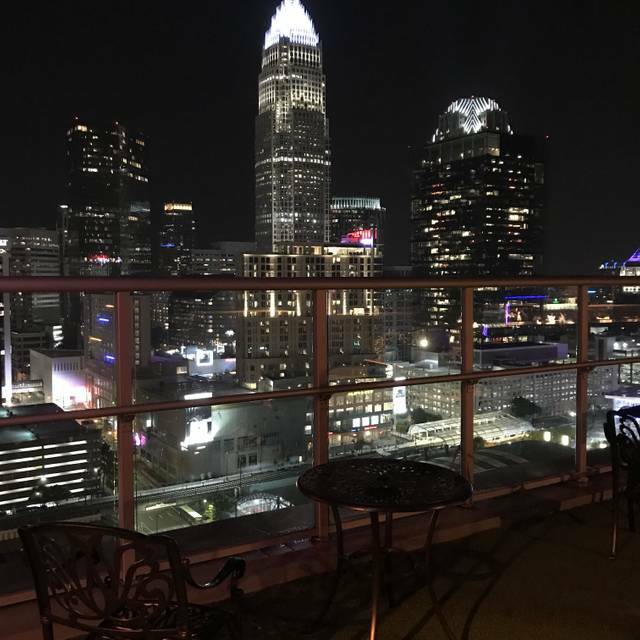 Such a beautiful restaurant with a spectacular view of beautiful Uptown Charlotte! Our server was great, the food was amazing...the Bloody Mary and Mimosa was outstanding...it was a great brunch with my husband and boys! We really enjoyed it!